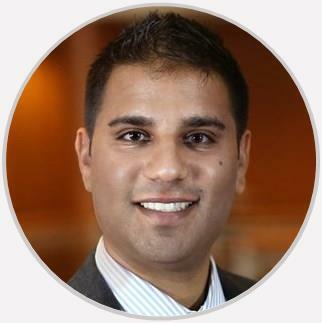 Dr. Jay Kalawadia is fellowship-trained in sports medicine. He specializes in arthroscopy and other minimally invasive surgical techniques that are constantly changing and improving for the benefit of the patient. I was worried going in but staff and doctor put me at ease. It turned out to be a excellent experience. Doctor very knowledgeable and great to work with. I will recomend to all. Very informative doctor, great bedside manner, helped me to feel better about my shoulder problem. I’ve seen 3 other doctors and he helped my husband and I understand my situation. I would highly recommend him. Dr. Kalawadia is the best. He always listens carefully and provides helpful information. Dr. K was very kind and informative. He answered all questions. I was very comfortable and impressed with him. He really listens. Excellent practitioner. He brings the patient into the decision making process. He explained what and why he was thinking of my diagnosis. He wasn't eager to pursue surgery, go the conservative route. Also gave me a shot and removed fluid and was very gentle. Dr. K pinpointed the problem and devised a solution immediately with thoughtful follow up plan. Knowledgeable and conservative in treatment.